Whoa!! 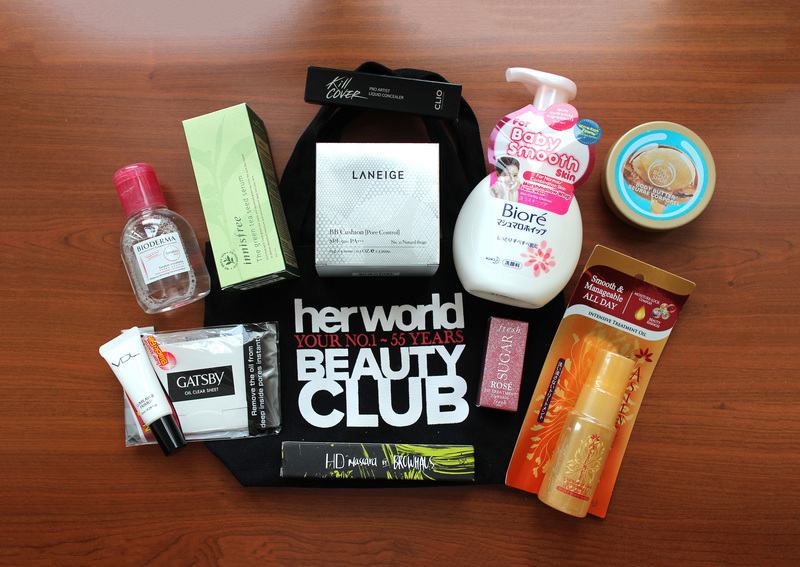 That’s a lot :O I really love how the Her World editors curated this bag – this is truly filled with well-designed products, and tailored for the Singapore weather. I’m saying this because I /have/ tried a number of these products (or similar ones) beforehand, and they really are great for me. 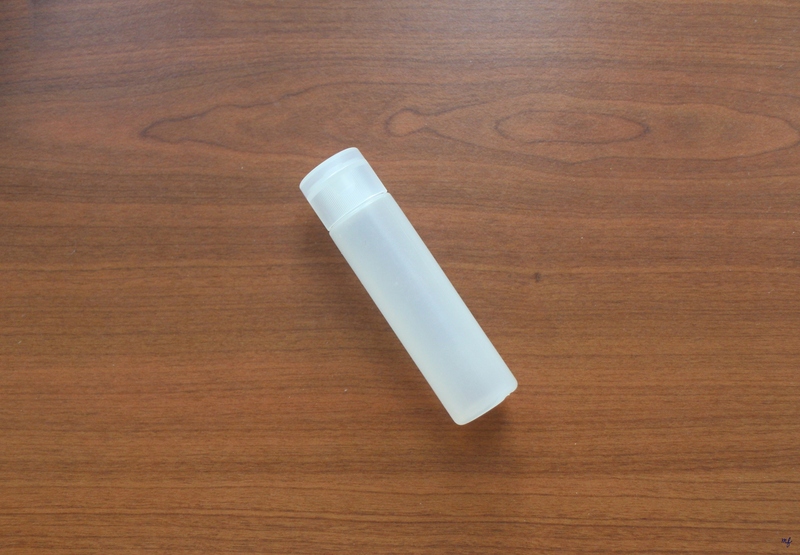 I’ve tried the Fresh lip balm before – tinted lip balms are the best here. Because the weather is so hot, my lips get chapped really easily, so some colour and balm together is the best for fixing up dry lips! The Bioré face wash was actually my HG foaming wash for years, before I discovered Asian Beauty. It’s not that I don’t like it anymore, but just that I’ve started to try the Hada Labo one instead now! 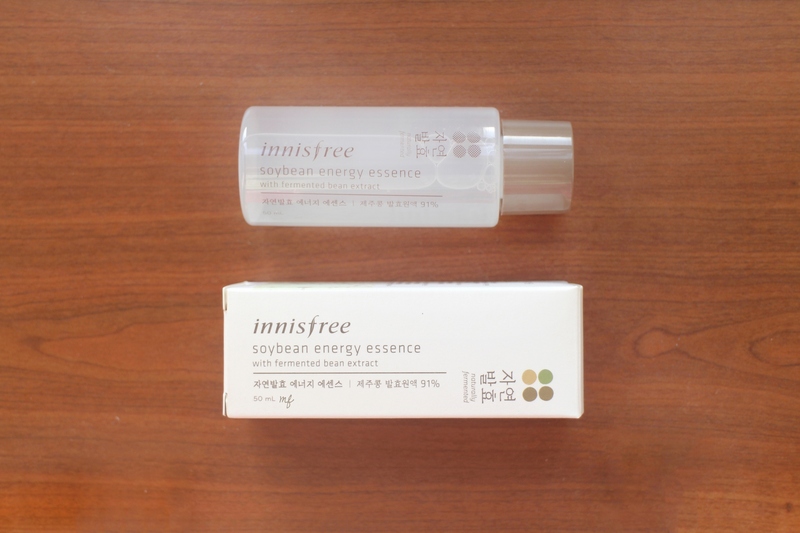 I actually have a bottle of the Innisfree Green Tea Seed Serum, and it really does live up to its hype – it does a very good job at hydrating my face, even with my leaning-to-dry skin! My only issue is that this line is quite… heavily scented. Bioderma’s micellar cleansing water is, as I understand, fairly similar to the Bifesta one. Micellar water is much lighter on my skin as compared to typical oil-based makeup removers! 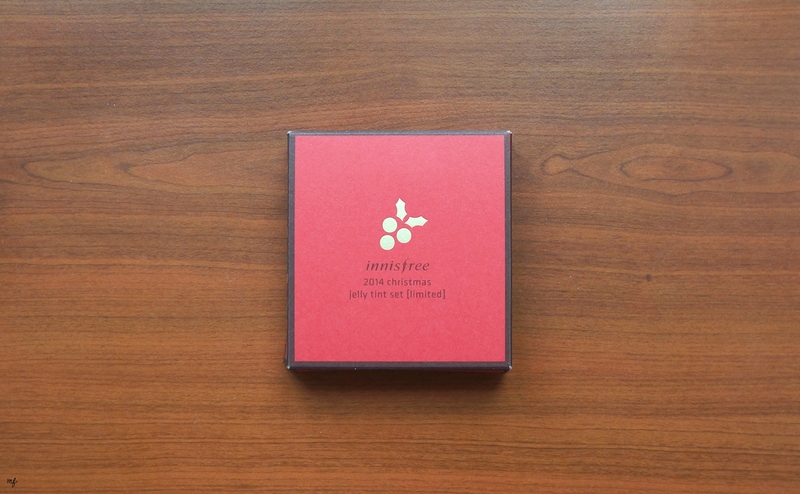 Quick PSA: Fill this in and you get a free green tea trial (8 solutions) kit from Innisfree! You don’t even need to pay shipping – how interesting! Innisfree’s green tea line is their most popular, and fairly effective for many – I recommend you try it out if you haven’t already. While I was away at Grad Night, my most recent order finally arrived. I ordered some stuff off Qoo10 on 27th November, and both arrived on 2nd December – pretty fast, considering they came all the way from Seoul! My Testerkorea orders tend to take 2-3 weeks to arrive in Singapore – Qxpress is tons faster I must say. I included my Asos swing earrings since Mary passed them to me during the sleepover. Pink faux pearl swing earrings! I was actually most excited for the Bulg Rose toner! I love anything remotely rose-scented – I think the only scented product I own is my rosewater spray. While they smell pretty good, I haven’t managed to try all of them yet, so I’ll post a review soon. 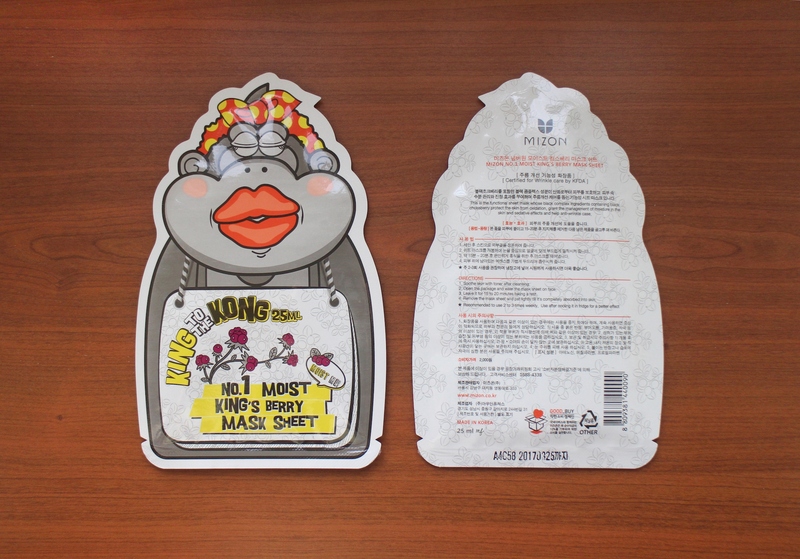 Mizon also packed in 2 free samples – No.1 Moist King’s Berry Mask Sheets! They actually retail for ￦2000 each. I think this has been raved about more than enough online, so I won’t go into too much detail. This essence is usually compared to the SKII Facial Treatment Essence, and as such probably the Missha First Treatment Essence (I have a sample of this! I’ve yet to try it) as well. I’ll… also do a comparison of the 3 soon! Probably plus the Mizon dupe too. My mum received a tiny 4ml sample (so cute!) 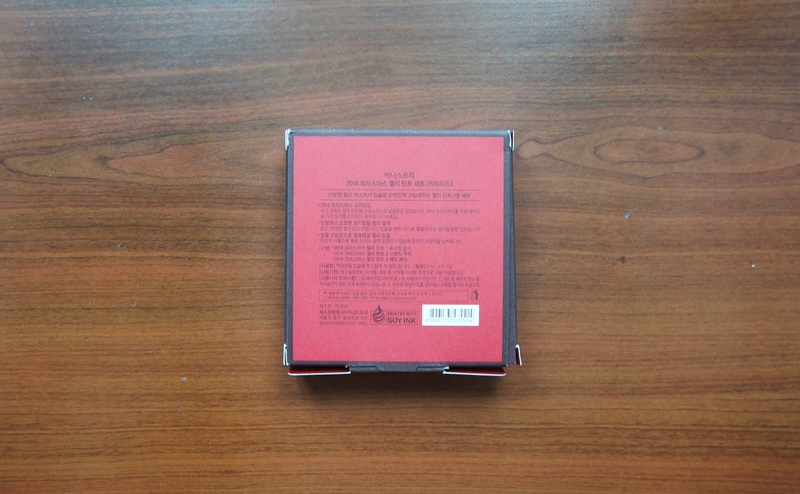 of it a couple of months ago when we were shopping in the Innisfree flagship store in Ngee Ann City, and since she didn’t want it, I dumped some of it into my Missha Magic Cushion…. and then I realised I liked it. I slathered the remaining what, 1ml all over my face? and waited for results. Not sure what I expected with one use, but hey I liked it so I ordered more from Qoo10! 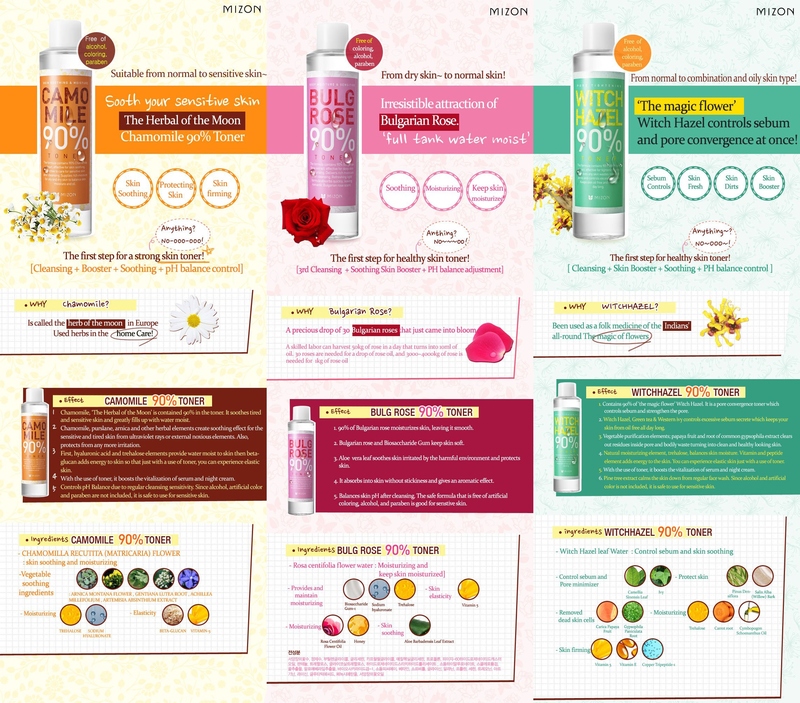 The essence cost me $20 for 50ml x 3, while it costs $53 for the same 150ml on innisfreeworld.com. 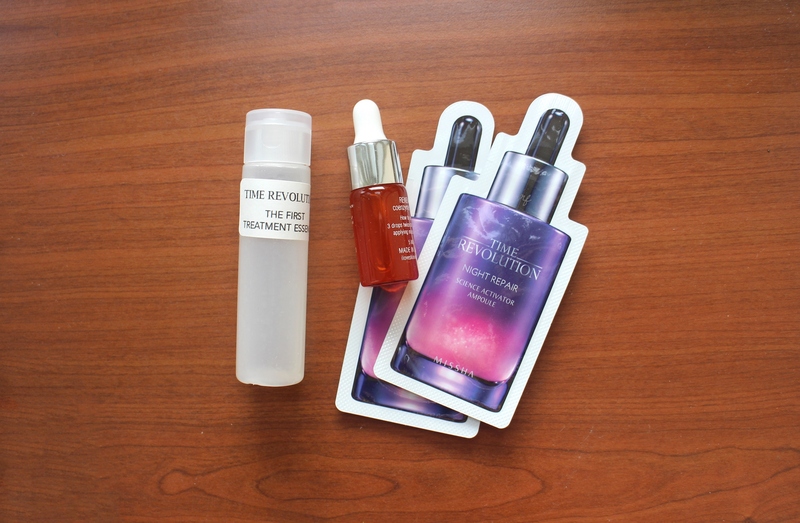 I really love sample sized-items – they’re so much more portable, and I can keep most of the product fresh by keeping the rest away. 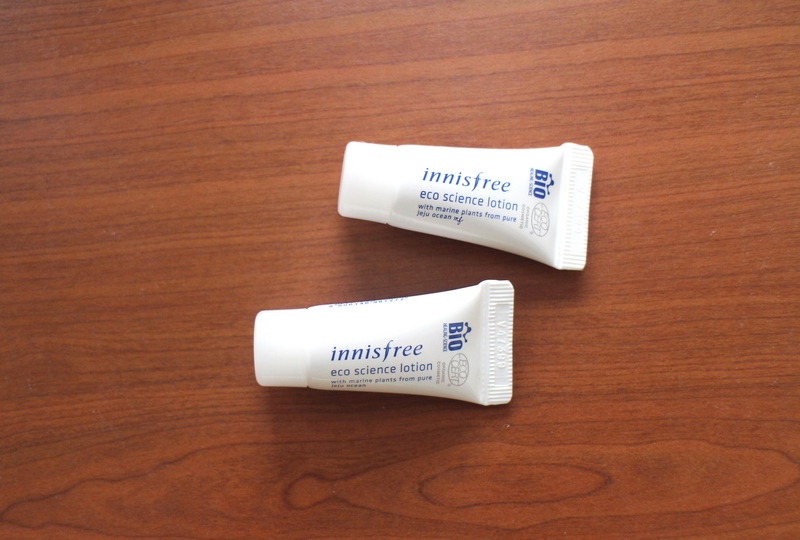 I’d say there’s really little scent to it, as compared to many other heavily scented Innisfree products. I don’t think samples really count as a part of your haul, but alright… Since I’ve got so many samples, I think they deserve their own post. 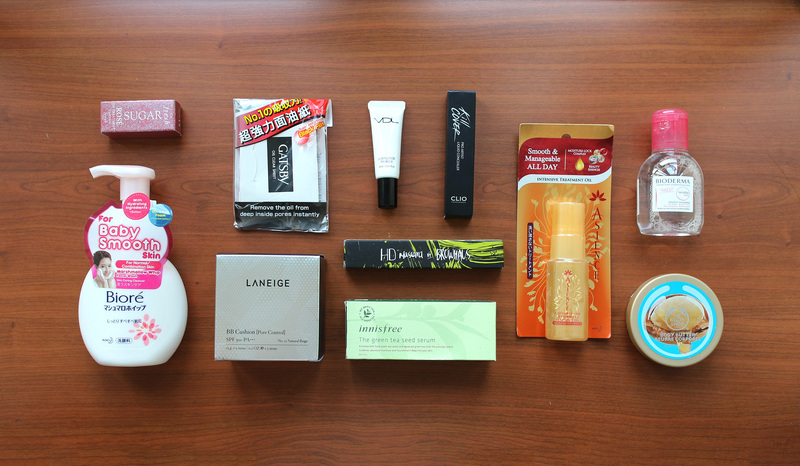 I received/ordered quite a few items – some from free sources in Singapore, some from SampleStore, and some from Roseroseshop. First impressions included! I will come back to update this post once I’ve finished using the product. Woo I hope this is good! 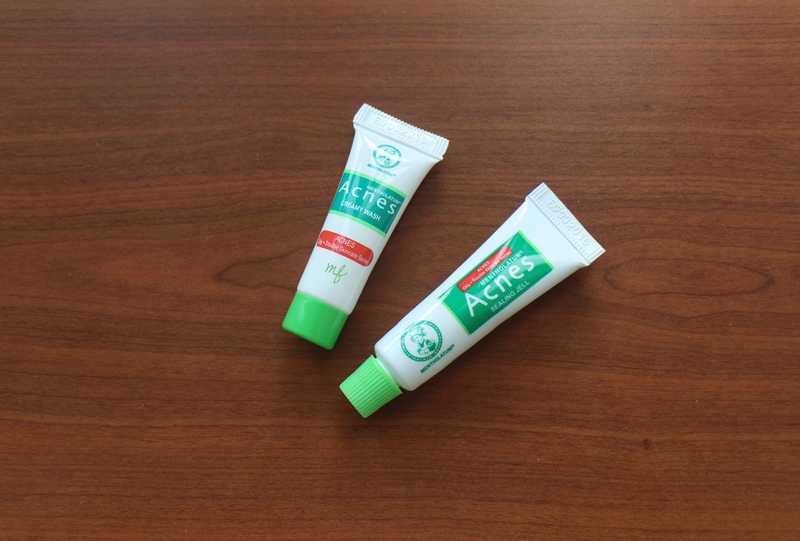 Snails and Bees on my face – I’ve patch-tested this on my neck and it seems fine so far. First impression: the essence is really thick, and has to be swabbed out of the bottle by a cotton tip. The steam cream is scentless, and was very helpful when I was in the dry and dusty Taipei and Hong Kong. I received 1 sachet of this in a previous TesterKorea order and I managed to get 3-4 uses on my full face out of one sachet! 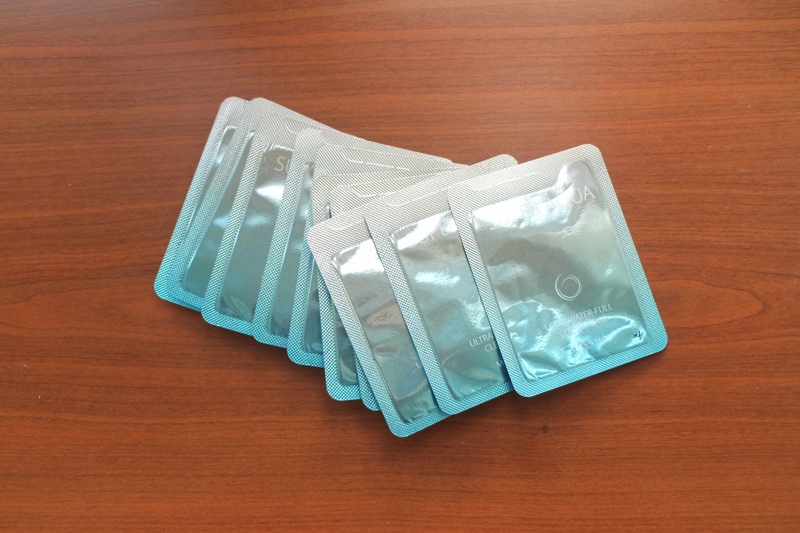 It was really good at hydrating my face and feels really light on my skin – so I got a 10-pack. I purchased a small airless pump bottle to store this in, and it’s held well for the past couple of months. 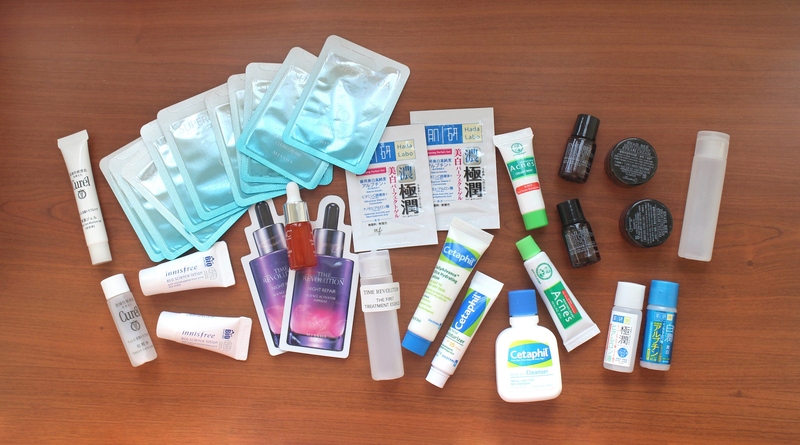 However, this cost around SGD$4… Which is pricier than the Mizon Snail Recovery Gel. Everyone raves about this, so I obviously had to get a 10-pack of samples. I transferred everything out of the foil samples into a small 18ml Muji bottle… Even though there’s supposedly 1ml in each packet, I’d say there’s slightly less – maybe about 0.8ml. Not a big deal, but just FYI. I also transferred 8/10 sample packets into a 5ml bottle. I finished a Q10 serum from Skin Inc a couple of weeks ago, so the empty bottle came in pretty handy for this serum sample! I expect this to last me a good few weeks, since I use serums quite sparingly. (i.e. it’ll last long enough until I get my other serums from RRS :o) I’ve used this ampoule for a week now, and the consistency is quite thick. 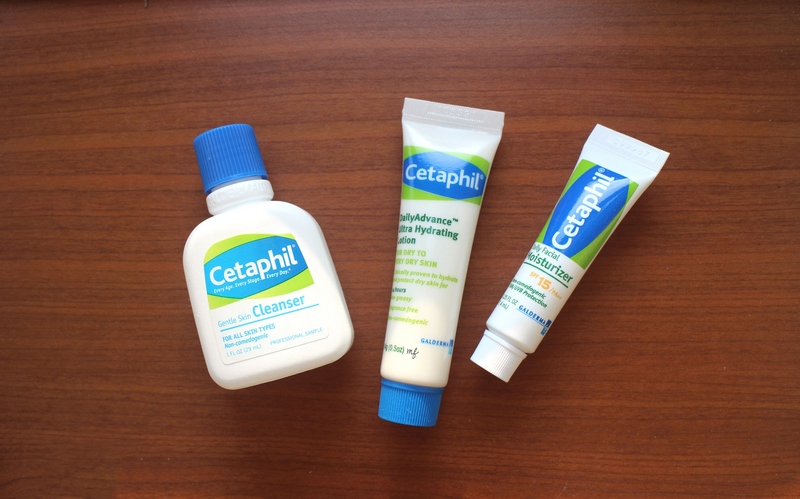 Of all the free samples I received, Cetaphil was the only one who provided 3 different products! Wenxin recommended the Gentle Skin Cleanser anyway, and yes it does what it says – it’s extremely gentle on my face, so it’s perfect after using a wipe-off, oil-based makeup cleanser. I’m definitely considering purchasing this! I suppose this will be helpful every month…? Mum suggested I try this anyway… How… do I use the Sealing Jell though? Perfect for travel! I currently own the big bottles anyway, I can always pour more in if the travel bottles run out. 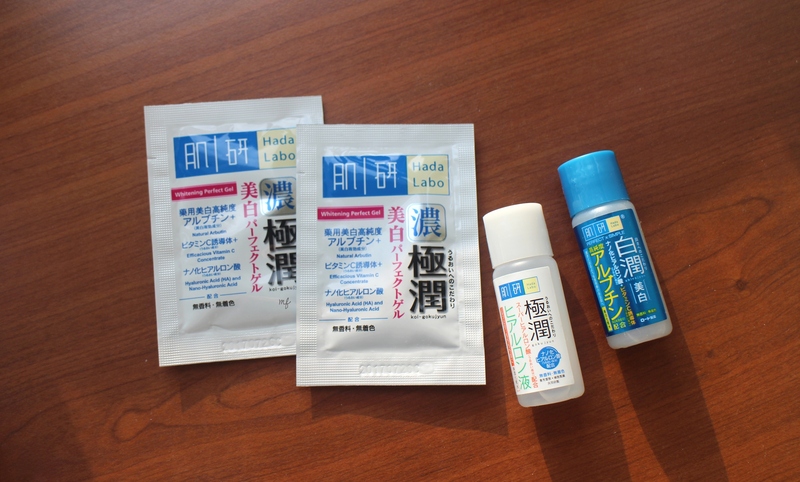 Maybe I’ll review the Hada Labo products I have in another post. Err… Maybe the picture isn’t that relevant but this is AMAZING. Okay maybe just as amazing as my Bifesta Cleansing water but w o w one swab of this across eyeshadow and it’s clean!!!!! Maybe I’m overreacting? I received 2 x 7ml samples from all over the place, and depotted it into an 18ml Muji bottle – I’ve already finished half of it in 3 days. Diz stuff is gooood. I got this with my previous TK order. I couldn’t find a lot of reviews online, but it was only 300krw… What a disappointment though 😦 The lotion is brown in colour, and heavily scented, very herbal-y or lavender-y. Seemed like just another standard emulsion anyway. Innisfree’s Green Christmas Holiday Collection this year looked amazing! I purchased the Green Christmas Jelly Tint Set (3 x 3ml). 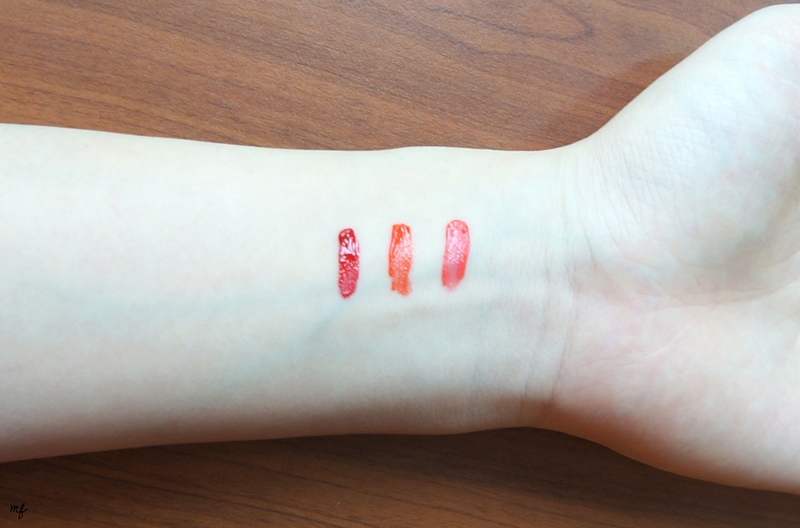 Colours #1 Warm Cotton Candy Pink, #2 Sweet Orange Cookie, and #3 Refreshing Red Berry. Very christmassy! 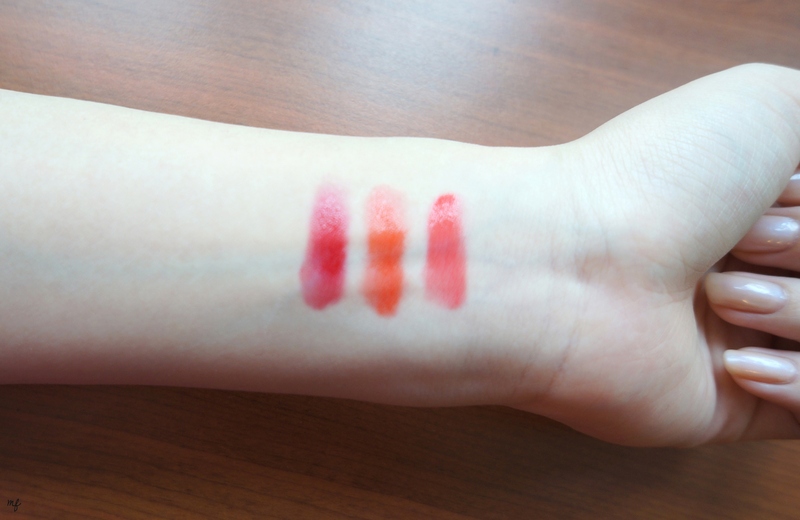 Swatched R-L, as you can see, it’s a darker red, an orange, and a candy pink. 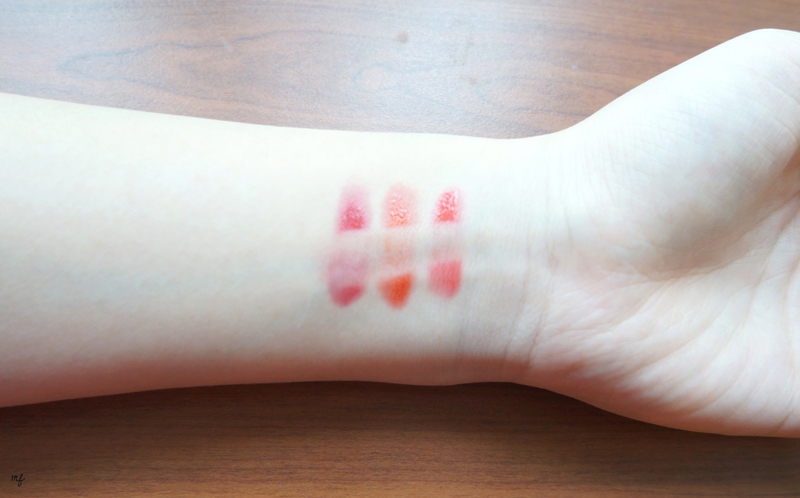 Blended swatch R-L. While it gives a fairly thick and sticky consistency, it doesn’t stain as well as I’d like. I’d probably say it stains less than the Eco Flower Tint. Removal with DHC’s cleansing oil; if un-blotted, it comes off fairly easily, but there’s a mild stain left. Will update with long-wear on lips soon!